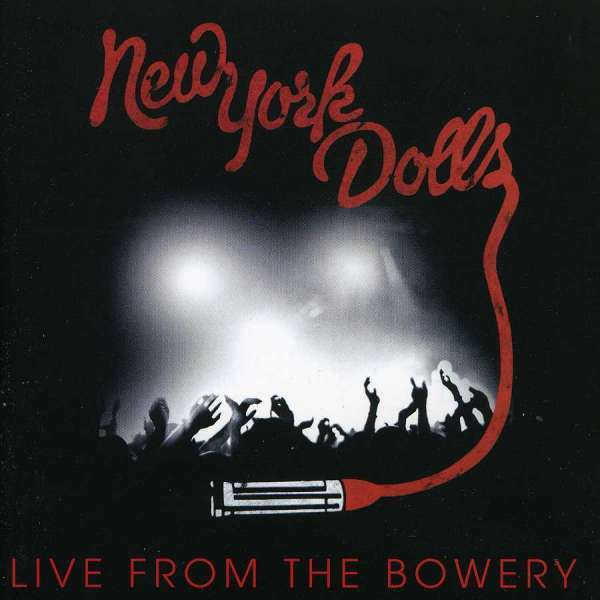 Der Artikel New York Dolls: Live From The Bowery 2011 (CD + DVD) wurde in den Warenkorb gelegt. The NEW YORK DOLLS created Punk Rock before there was a term for it. Mixing THE ROLLING STONES, THE STOOGES, and DAVID BOWIE, they created a new form of Hard Rock, drug fuelled and shambolic, and influenced a generation of musicians. In 2004 former SMITH’S vocalist MORRISSEY invited the surviving members of the band to perform at the Meltdown Festival. The set was well received by critics and fans, which led to more offers and festivals. In 2009, they released the album CAUSE I SEZ SO produced by TODD RUNDGREN. They released a fifth studio album last year called ‘Dancing Backwards In High Heels’. Hörprobe Track 8: Who Are The Mystery Girls? 8 Who Are The Mystery Girls?